Files are still recoverable after they have been deleted in the Windows operating system. They are moved first to the Windows Recycle Bin where they are recoverable for as long as they are stored inside. Most users do not know that files are even recoverable after the Recycle Bin has been deleted or files have been deleted directly by bypassing the Recycle Bin. The reason for this is simple. The Windows operating system write protects occupied storage space on the hard drive and a deletion basically removes that write protection and the file reference. Files are fully recoverable for as long as no data is saved into their original storage space on the hard drive. They may be partially recoverable if data has been saved in the location. A tool like Moo0 FileShredder deletes files securely so that they cannot be recovered by file recovery software. all the tool does is to write over the storage space of the deleted file to delete its data from the hard drive. The application is easy to use. All it takes is to drag and drop files into the program interface to delete them. 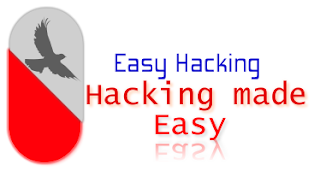 It offers multiple methods of deleting files securely which seem to differ in the amount of overwrites. All methods on the other hand make the files unrecoverable. All methods perform these operations at least once. 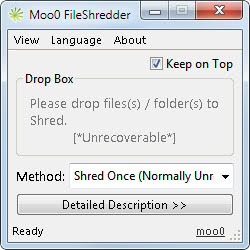 Moo0 FileShredder is automatically set to be always on top which makes the drag and drop operation more comfortable. The program is available for download at the developer website. It is compatible with 32-bit and 64-bit editions of Windows XP, Vista and Windows 7.